Capt. Paul Andrade and his crew on the LIBERTY DREAMS left Hilo in search of big tuna. Thirty miles from shore, they took a powerful strike on one of their lures and found themselves hooked to a monster marlin. 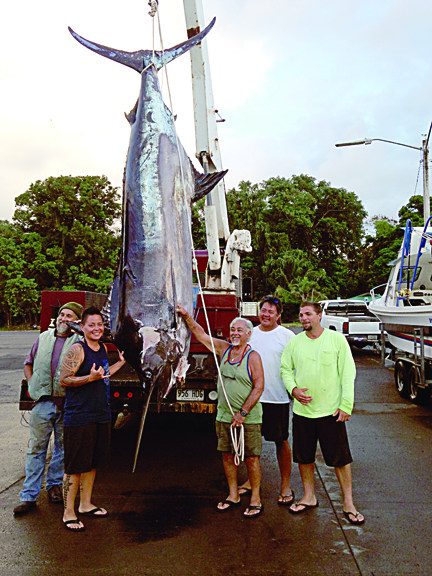 Crewmen Chante Ching, Gilbert Abalos and Levi Boteilho worked seamlessly to battle the giant to the boat using a Penn 130ST reel and 130-lb test line.